While it’s comforting to know that BCS Heating and Cooling has your back this winter if anything were to break on your heater, it’s still better to not need us in the first place. Knowing how to properly defend your heater from common, avoidable wear and tear can bring you additional peace of mind, and bring additional years to your heater. Here are some tips that Prescott homeowners can use to help keep their heater in shape all year round. Maintenance tips for your heater this Fall - BCS Heating and Cooling in PrescottNot only is this one of the easiest things to do yourself when it comes to heater maintenance, but it also has the most effect. This air filter both protects your heater from harmful dust and debris build up and you from the same. A good air filter can add years onto your heater’s life as well as keep your airspace clean. We recommend that you change your filter at minimum twice a year, and if you have a second home in a colder environment, you might want to consider changing it more. Cleaning your furnace every fall before the cold sets in can both eliminate downtime and help your system run more smoothly. Removing any dust from the outside of the furnace, in addition to cleaning the inside can make a big difference. This is not recommended for the average joe, however. Give BCS Heating and Cooling a call to schedule a furnace cleaning. Regular inspections and tune-ups ensure that your system is ready to use and is running at its peak performance. Avoiding emergency repair starts with calling a professional to do a comparatively cheap tune up once or twice a year. Detecting potential problem areas before they become issues can make all of the difference. It’s easy to put off maintenance and tune-ups on your heating system. Most people don't think about their heater every day, and that's okay. 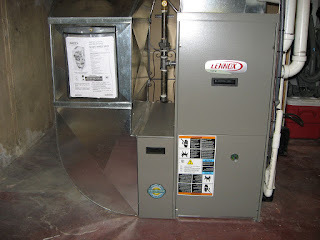 Contact BCS Heating and Cooling to see how your furnace can be better prepared for this cold winter here in Prescott. We can be reached at 928-445-9700 for more information or to schedule an appointment.